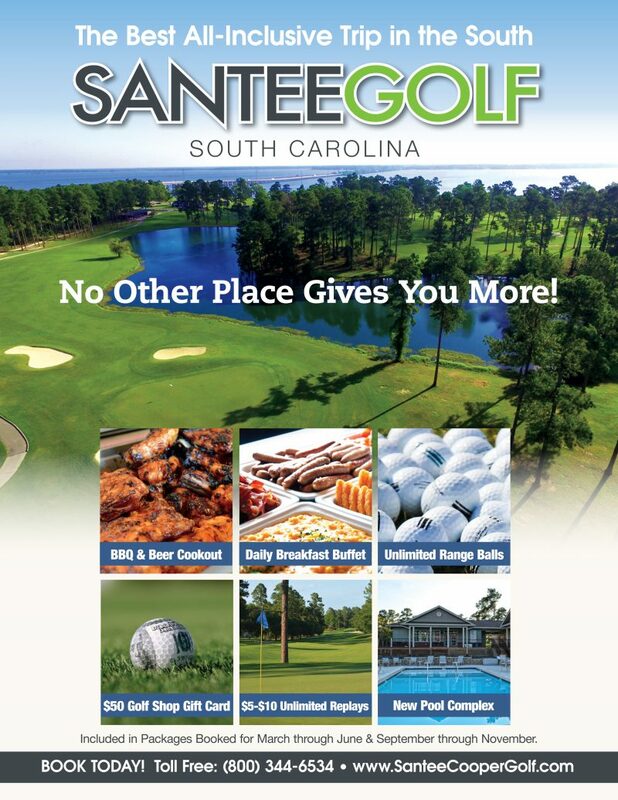 Thank you for your interest in golf package information for Santee, the East Coast’s best value golf trip! The Santee area has a wide variety of golf courses, 14 in all, and hotels to fit your style and budget. Known as the “Value Destination of the East Coast”, Santee offers great golf for less green. Situated along Interstate 95, Santee is also probably the easiest to find golf destination. In fact, you can even see one of our courses, Santee Cooper Country Club, from the interstate when you cross Lake Marion. If you are looking for a golf trip that is less hectic, Santee Cooper Golf is your answer. You will find our area to be less-crowded and better priced than the other well-known golf stops. Give Santee a try. You, your clubs and your wallet will all leave smiling! Let our knowledgeable and friendly staff book your next golf vacation today! Call Toll Free: (800) 344-6534 For Golf Trip Information!